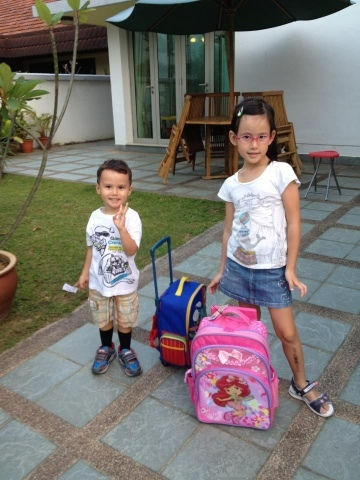 Across 2 Cultures - Cross-Culture Parenting and Lifestyle Blog: Loic's first day at Maternelle! 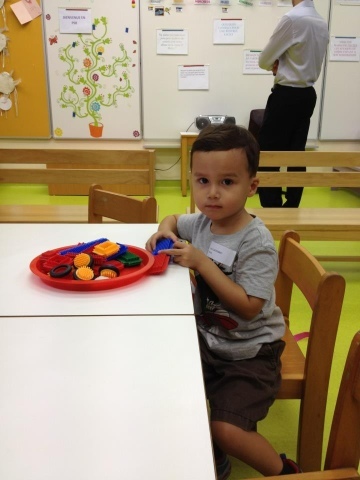 Loic's first day at Maternelle! Time flies and now my baby boy is all ready to enter the French official education system by going into Maternelle! Just like his sister did three years ago, now it's his turn. Except of course he has his sister in the same school. 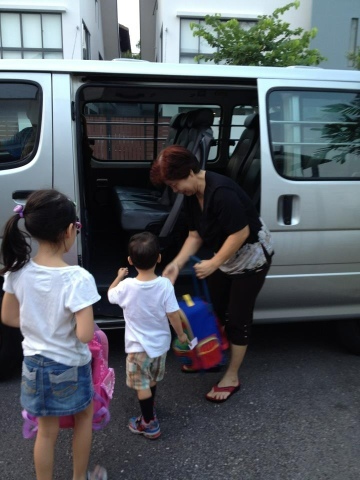 The French school in Singapore, Lycée Français de Singapour (LFS) is a school for kids from 3 to 18 years old. It is governed by the French education ministry and follow the French syllabus. Since we are a rather mobile family, we feel its best to keep our kids in the French system. On top of that, in the last three years, we have been very satisfied with how schooling life has been for the big girl. So, on the first day, we sent both kids to school and the boy settled in quite well. The school was very gentle in the way they ease the kids into the system. So, for the first few days, it was only a couple of hours and I was to stay with him quite a bit. Loic is a very independent boy and I had no worries about him settling in. First day of school. Playing with some of the boys while I'm in the class with him. Leaving school on the second day! Still all cheerful! Anyway, after two days, he was ready to take the school bus with his big sister! 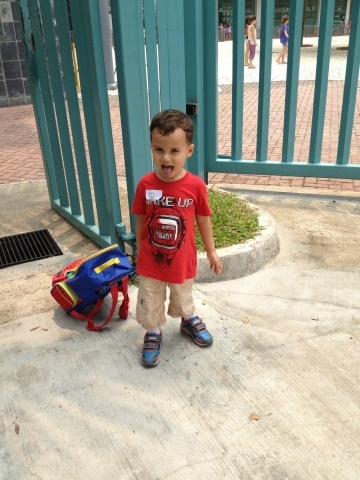 Instead of being scared or panicky, he was all excited and ready to go! The obligatory photo before the school bus arrives.